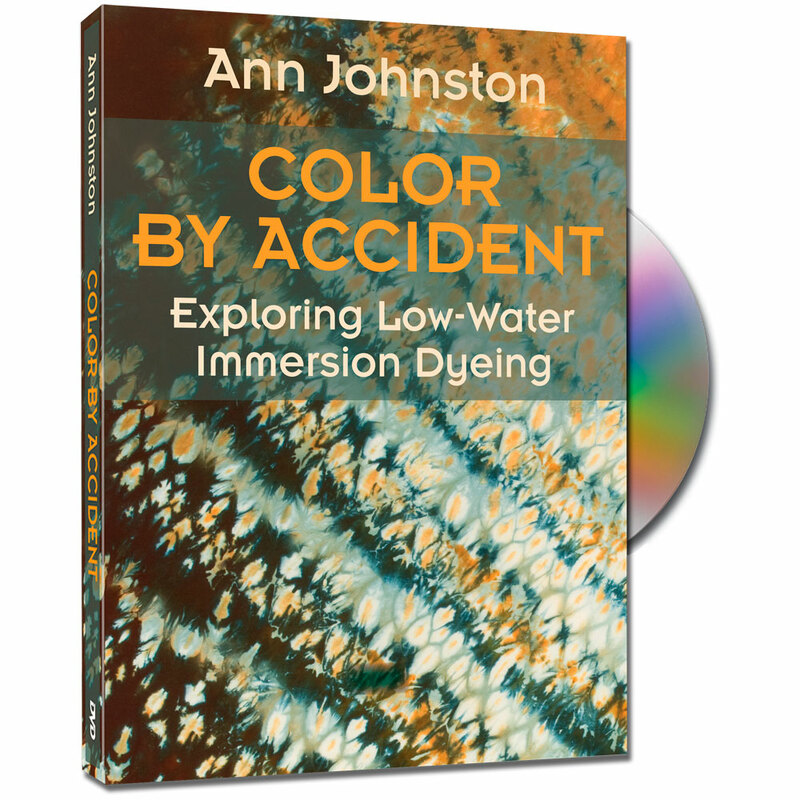 Take a workshop with Ann Johnston in your own home. 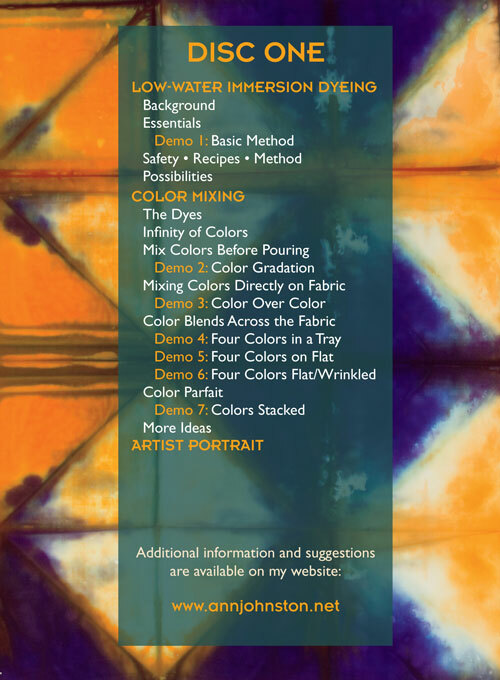 This color-filled video is packed with information and will inspire many experiments by those of all skill levels who are ready to use their own unique fabrics in their quilts, garments and textile artworks. View the trailer. “In my previous life I was a corporate trainer and even a training director for a while. I have degrees in education and have designed training programs and trained trainers. 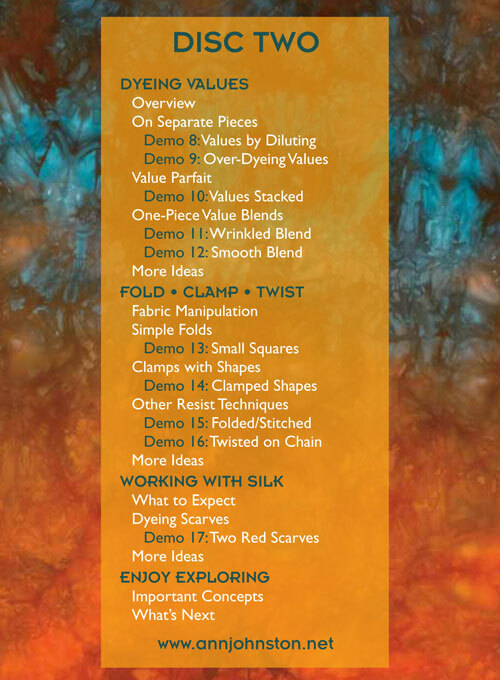 So I think I have a pretty good idea of what is a well-organized, informative and enjoyable workshop, not just for me but for anyone interested in the subject matter. It’s obvious that a lot of work went into designing and producing the workshop and I am so very grateful that Ann chose to do it."